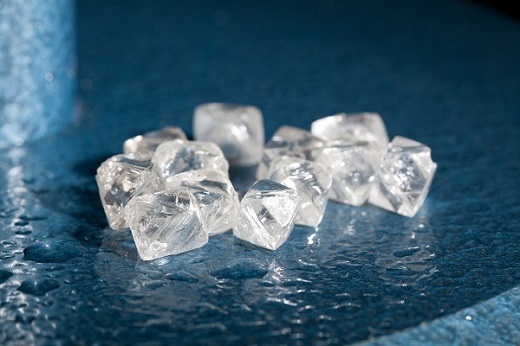 RAPAPORT PRESS RELEASE, April 2, 2019, Las Vegas … Diamond market sentiment was soft in March, after the Hong Kong and Basel shows failed to boost trading in a significant way. The first quarter was weaker than last year’s, with cautious retail inventory replacement after the holiday season. The RapNet Diamond Index (RAPI™) for 1-carat diamonds slid 0.2% in March, while RAPI for 0.30-carat fell 2.9%. RAPI for 1-carat declined 0.5% during the first quarter. © Copyright 2019, Rapaport USA Inc. The restocking that typically occurs in the first quarter was subdued this year. Jewelers were uncertain about 2019 prospects after a disappointing holiday season. Retailers are also becoming more efficient, with increased customization and omni-channel sales letting them reduce their in-store inventory. Savvy jewelers are using technology to tap into suppliers’ stock and improve the customer experience. Polished buyers are selective, filling specific orders and avoiding large inventory purchases. The market remains saturated with diamonds below 0.50 carats and lower-quality goods, putting pressure on prices. The number of diamonds listed on RapNet as of April 1 was 1.53 million, up 5% since the beginning of the year and 23% higher than a year ago. Dealers are selling old stock, since a decline in manufacturing has meant few new goods are coming onto the market. Rough sales fell an estimated 30% in the first quarter as manufacturers scaled down operations and De Beers and Alrosa reduced supply to support prices. Diamond trading is expected to remain cautious in the second quarter amid industry efforts to restore the balance between supply and demand. To make the rough market demand-driven again and bring profitability back to the manufacturing sector, rough prices must come down by at least 10%, as outlined in the March Rapaport Research Report. This will let manufacturers start buying rough with a stronger chance of earning a profit. To learn about the Rapaport Research Report and to subscribe, click here. About the Rapaport Research Report: The Rapaport Research Report provides subscribers with in-depth analysis of key issues affecting the diamond market. It presents exclusive analytics of diamond prices for a variety of categories, based on sales and inventory data from RapNet® – The Diamond Market. About the Rapaport RapNet Diamond Index (RAPI™): The RAPI is the average asking price in hundred $/ct. of the 10% best-priced diamonds, for each of the top 25 quality round diamonds (D-H, IF-VS2, GIA-graded, RapSpec-A3 and better) offered for sale on RapNet® – The Diamond Market. www.RapNet.com has daily listings of approximately 1.5 million diamonds valued at approximately $7.4 billion. Additional information is available at www.diamonds.net. About the Rapaport Group: The Rapaport Group is an international network of companies providing added-value services that support the development of ethical, transparent, competitive and efficient diamond and jewelry markets. Established in 1976, the Group has more than 20,000 clients in over 121 countries. Group activities include Rapaport Information Services, providing the Rapaport benchmark Price List for diamonds, as well as research, analysis and news; RapNet, the world’s largest diamond trading network, with over 15,000 members in 97 countries and daily listings of approximately 1.5 million diamonds valued at approximately $7.4 billion; Rapaport Laboratory Services, providing GIA and Rapaport gemological services in India, Israel and Belgium; and Rapaport Trading and Auction Services, the world’s largest recycler of diamonds, selling over 500,000 carats of diamonds a year. Additional information is available at www.diamonds.net.